Sometimes we get a little snacky here at the shop. Some days we have a few oranges, pretzels, donuts or cookies. 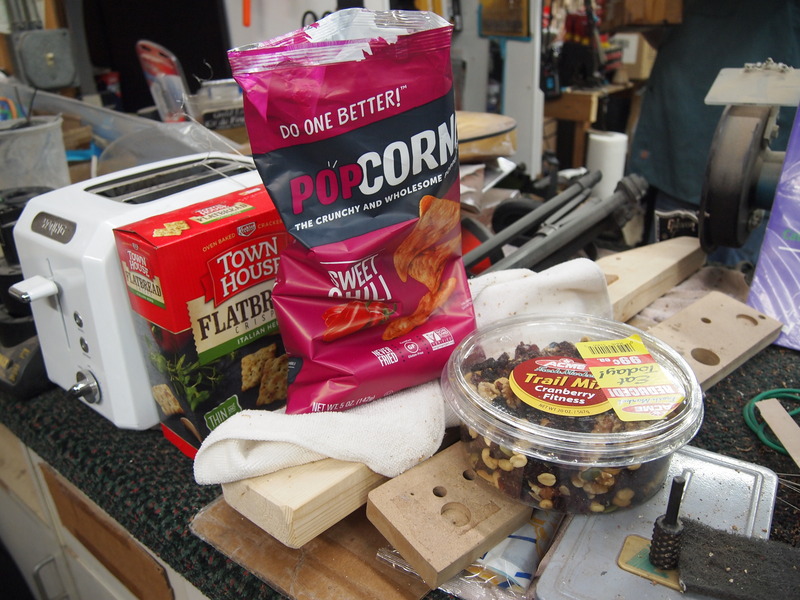 Today we are enjoying these sweet chili Popcorners, trail mix and flatbread crisps. 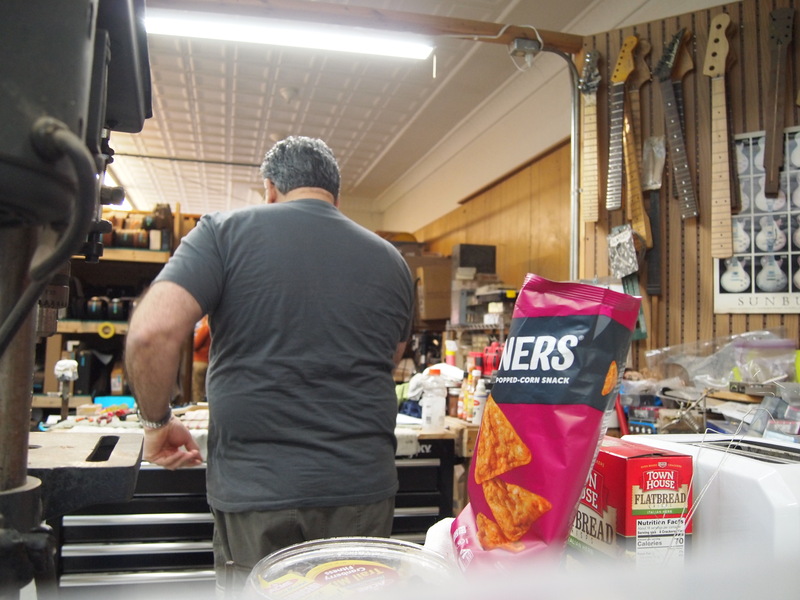 Also below is a shot of Todd walking away from the snacks after grabbing a handful of those Popcorners.